The Danish Society for Patient Safety has taken part in developing and promoting a new charter, intended to integrate the communication discipline into the ongoing quality and improvement work in healthcare. 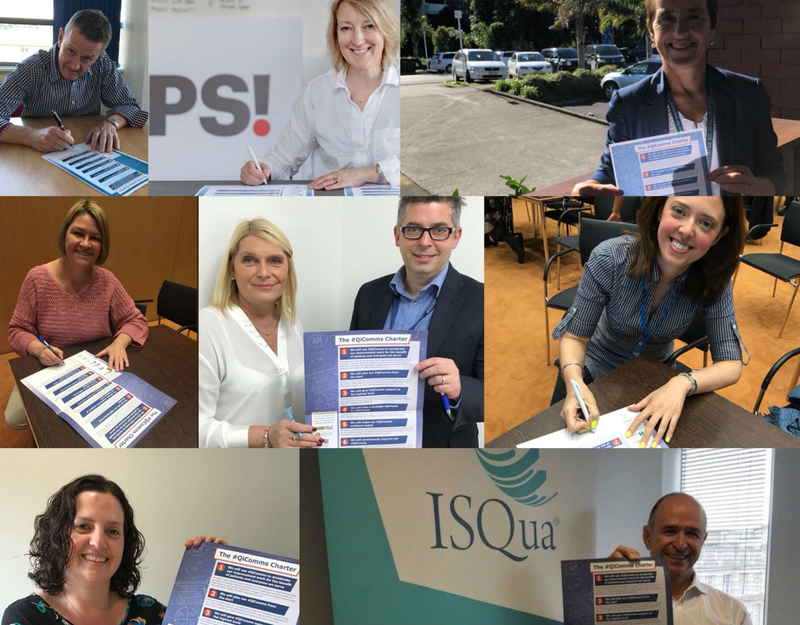 The intention is for healthcare leaders to physically sign the charter, thereby committing themselves to integrating communication in quality work and – not least – to maintaining their communication focus. The idea to have an actual charter came as a result of discussions among the Society’s international associates; these discussions showed, among other things, that communication is often a last-minute appendix to quality and improvement initiatives. The fact that internal communication is extremely important in this kind of work is self-evident; without communication, nothing would be done. However, in this connection also external communication, e.g. towards the press, is highlighted. The point is that this kind of communication also serves a quality purpose. “It is not a purpose in its own right to be mentioned in the newspapers. However, we can see – because we checked – that staff members are motivated by such mention to improve their quality work even more, and others will be inspired”, says Frits Bredal, Head of Communications at the Danish Society for Patient Safety. “It becomes part of the improvement work carried out”. In this connection it is not irrelevant where external press mention appears. “People prefer to be mentioned in professional media – preferably the one covering one’s own profession. This is found to be more important to staff members than getting on the front page of the Berlingske Tidende newspaper or the news on TV, just as internal media are found to be important”, he says. One of the first to sign the charter was Beth Lilja, CMO at Zealand University Hospital in Roskilde and Køge; however, she is already familiar with this kind of work. “We sign up to ensure that our quality, safety and improvement work gets known, thereby making staff members happy and proud. This is a way to celebrate staff and it works as a kind of counter move against all the communication saying that things are not going so well”, she says. “We are good at issuing press releases about ground-breaking scientific work. We are not quite so good when it comes to development work”. As far as her own hospital is concerned, however, press releases are not her primary focus at this time. She has set her eyes on the stop the line project supporting a renewed communication initiative. In this project, staff members are able to stop a process if they feel it is not safe; for example, physicians have told Danish Medical Journal that they have used the stop button a few times in connection with the Health Platform, just after it was introduced in the Zealand Region of the country. “This project has been a success in regard to healthcare professionals; now we want to broaden the project to allow patients and their family members to say stop the line, says Beth Lilja. “About 10 per cent of our staff members have used it and we want as many people as possible to be able to use it, because this is what is to be done before something becomes an adverse event”. As regards patients and their families, it obviously requires a major effort to open the system, so they can also have access. “We need to talk to our patient forum to find out how patients can feel comfortable reporting to the system. We should not disregard the possibility that this could feel like entering new territory, and we also need to ensure that entries are perceived as respectful towards healthcare professionals, while giving patients added value”. The communication charter – #QiComms Charter – has been prepared by a number of international quality organisations, including the Institute for Healthcare Improvement in the US, The Health Foundation in the UK, the Danish Society for Patient Safety, and the Welsh 1000 Lives Improvement programme. We will put people at the centre of our communication work.